The vast majority of senior citizens aspire to “age in place,” or remain in their home for as long as possible. 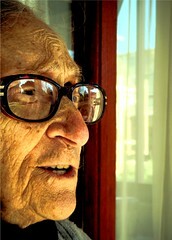 This desire can often be problematic, however, as most homes are not equipped to safely house an aging senior citizen. A recent article discusses a study currently being conducted to determine how to assist seniors in their goal of aging in place. The purpose of the study, which is being conducted by researchers at the Johns Hopkins University, is to show that older Americans can delay an impending nursing home stay for at least a year. The delay is effectuated through assisting the seniors with inexpensive housing modifications and customized strategies for daily living. Known as the Capable Project, the project will send handymen, occupational therapists, and nurses to 800 senior citizens. These professionals will implement minor safety improvements on the homes, as well as provide the seniors with individualized strategies for daily living. Each senior participant will receive approximately $1,100 in home improvements, which may include new banisters, grab bars in bathrooms, wider doorways, and better lighting. Seniors will also be given tools to address common challenges such as managing medications and cooking for themselves. If senior citizens are successfully kept independent longer, taxpayers will save millions that would have been spent for nursing home care. In addition, senior citizens will have more personalized care and attention while enjoying their familiar lifestyle and home environment.